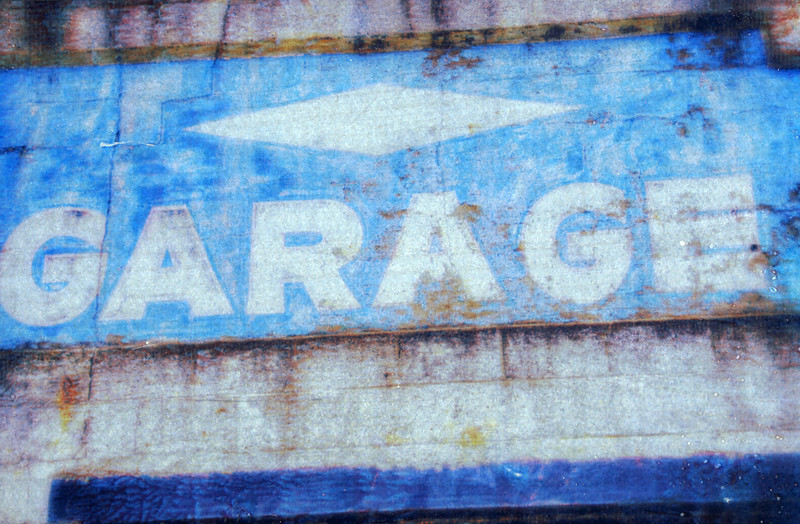 "Blue Garage" -- I found this abandoned service station near downtown Bluefield, Virginia as I traveled in the area. I combined several images and digitally painted in some of the blue to capture the feeling the place gave me. It is printed on tin using the Inkaid process.